The concrete floors, walkways, and patios of your home are the backbone of your yard. Keep it beautiful and unique with a professional concrete coating by the eSquared Asphalt Maintenance experts. Our team of specialists can provide a one-of-a-kind finished product that is protected from the elements. 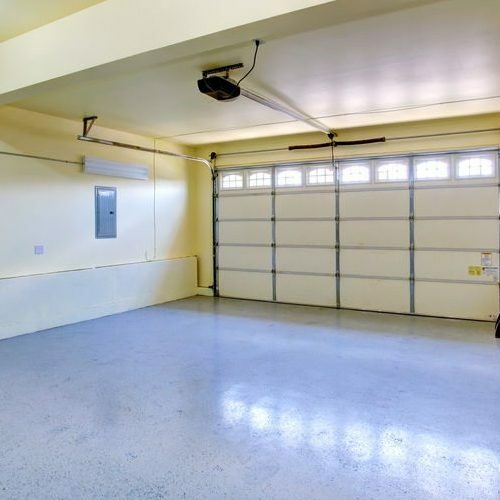 To learn more about whether a concrete coating can benefit your garage in Waco and Temple, TX or some other concrete project, call us today at 254-716-8685. Concrete coatings are created to offer unbeatable protection from outside elements while delivering a unique style to your surface. These coatings are available in acrylic, silicone, and epoxy formulas and can be easily applied by a professional to offer advantages like protection from water, staining, and even mold and mildew. They also offer resistance to aging problems such as cracking, divoting, and crumbling. Acrylic and Silicone coatings can be tinted to provide a unique style for your home’s patio or other concrete surfaces, and are great for water resistance and mold and mildew protection. Epoxy coatings can deliver superior protection from impact and chemicals such as oil, antifreeze, or even gas. Reinforced coatings are also available to deliver extra protection against drops, solvents, and even UV rays. These coatings are even effective on stamped and decorative concrete. Don’t fall victim to cracking, crumbling, or otherwise drab concrete. To learn more about the benefits of a concrete coating in Waco and Temple, TX, call our experts at 254-716-8685. Our experts are experienced and ready to complete your concrete resurfacing or concrete coating project. We will inspect your surface and provide viable options for your concrete. We will explain the benefits of each type of coating to ensure that you get the exact benefits you’re looking for. We will apply your coating quickly and conveniently for a hassle-free experience. To get more information on our concrete coatings in Waco and Temple, TX, call our experts at 254-716-8685 to schedule your consultation. Concrete coatings can not only provide a revived, elegant appearance but can also offer extreme protection against hazards that can cause your concrete to age prematurely. Keep your concrete looking great for longer. Call our experts at 254-716-8685 to ask about a concrete coating in Waco and Temple, TX. Updated on March 15, 2019 at 1:38 pm by eSquared Asphalt Maintenance.